Have you been to Oregon? More specifically, the Tillamook Creamery? More importantly, have you mingled with Tillamook cows? I mean, I don’t want to start off bragging…but I experienced all of these things several weeks back. I’ve been working with Tillamook throughout the past year and when they flew me out to hang with them for just shy of a week, I was pretty much in heaven. I grew up on the Tillamook Extra Sharp Cheddar Loaf…you know the one always in stores. It was always in our house growing up and if you ask Stella and Gavin it’s always been in our cheese drawer since they were wee ones. Over this past year I’ve ventured beyond my beloved Extra Sharp Cheddar Loaf (You love Extra Sharp Cheese Loaf too, right??) and moved into Tillamook’s four other dairy products: sour cream, butter, ice cream and sauce starters. Pure. Dairy. Heaven. 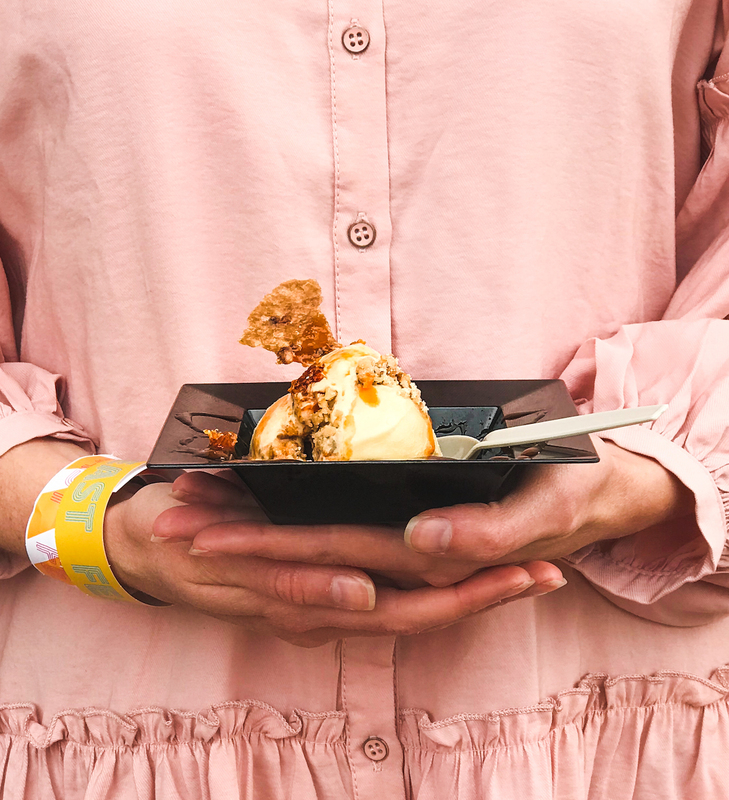 What makes this dairy love fest even better, is having met with the farmers, the cows, the Tillamook marketing team and the product development team (yes, I signed an NDA and YES I know about exciting new products and no, I can’t say anything…but you’ll die). 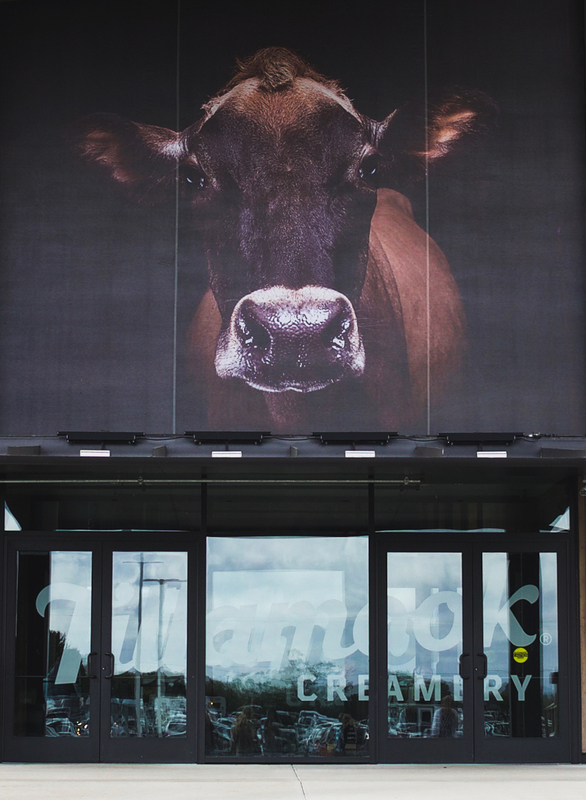 Tillamook is a co-op owned by nearly 90 farmer families that are raising the cows which produce the milk for all the Tillamook cheese and other dairy products (have you tried the ice cream yet?!). So much care is put into everything, from what the cows eat, to their gestation cycles (of which I had a lot of questions for Dr. Kate (21-day cycles, 9-month gestation periods and they make babies until they die, in case you were wondering too) and making sure their health is constantly in check. 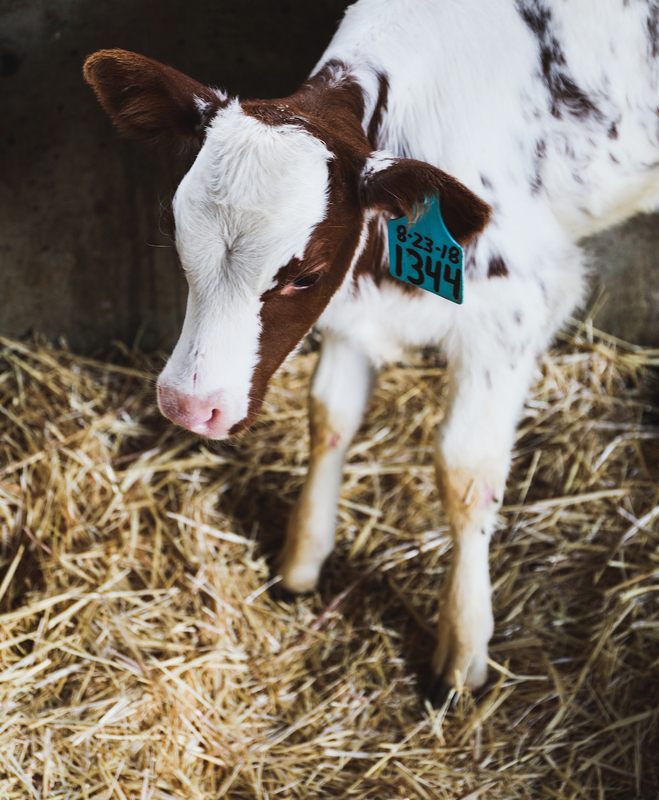 Dr. Kate is the Tillamook Director of Farm Engagement, and she works with the co-op’s dairy farmers to make sure milk quality, cow care and safety is always improving. 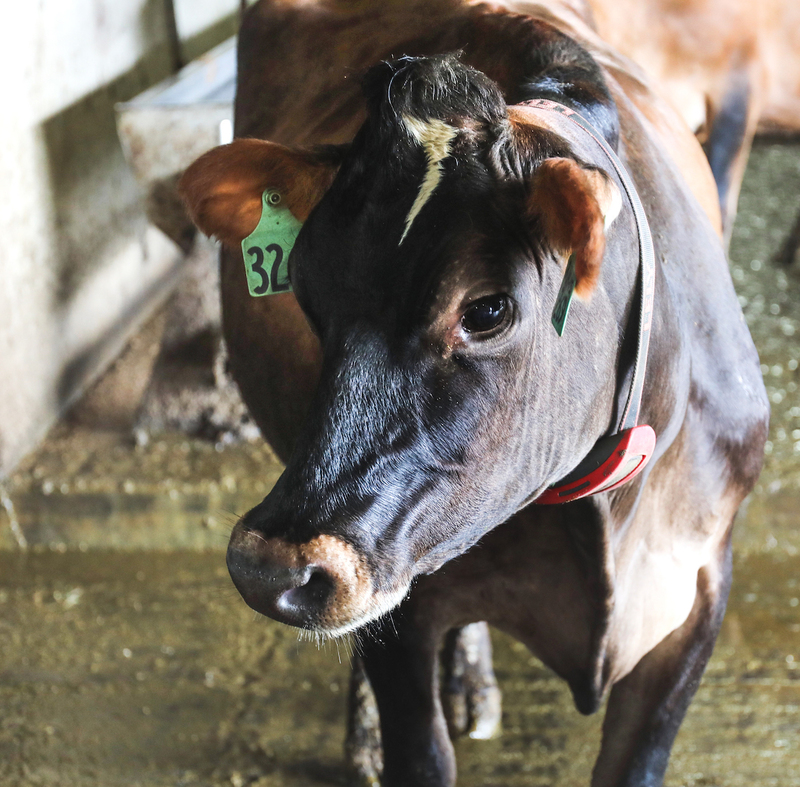 Watch this to learn more about the Tillamook dairy farmers! While I was getting completely schooled on cows and cow babies we were staying along the Oregon coast which is utter MAGIC: it’s green, cloudy, moody, cozy and fresh. 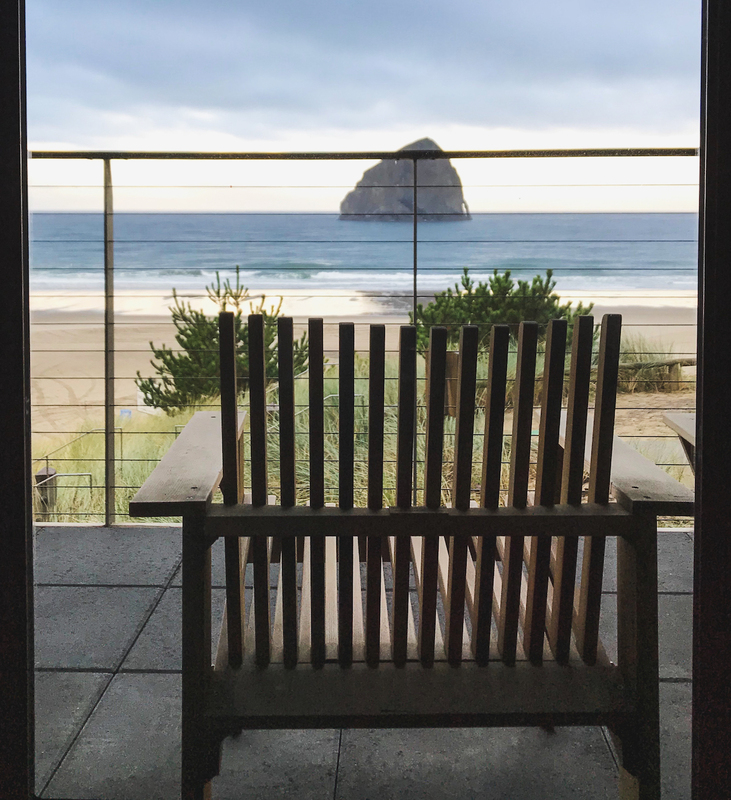 I would lie in the bed in my hotel room and look out the glass doors to the sand and then the ocean and then the rock seen in the photo below. When the double rainbow hit, I thought “what is this wonderful life?” I’m thinking the euphoria was 95% the bed I was sleeping in, which was in no uncertain terms, otherworldly. I wish I could transplant the entire set-up to my bedroom at home. After we learned about cow life we ventured to the Tillamook Creamery, which was dairy nirvana. The entire process of making cheese is viewed from the second floor, looking down at the people and machines that turn milk into dairy products within 24-hours of arrival to the Creamery. Fast-forward past the cheese sampling station (you heard me) and we were ushered into a private room so that Jill Allen, Tillamook’s Director of R&D, could talk to us about cheese, how she judges cheese in competitions, what to look for when tasting cheese and how to execute a successful cheese pull. 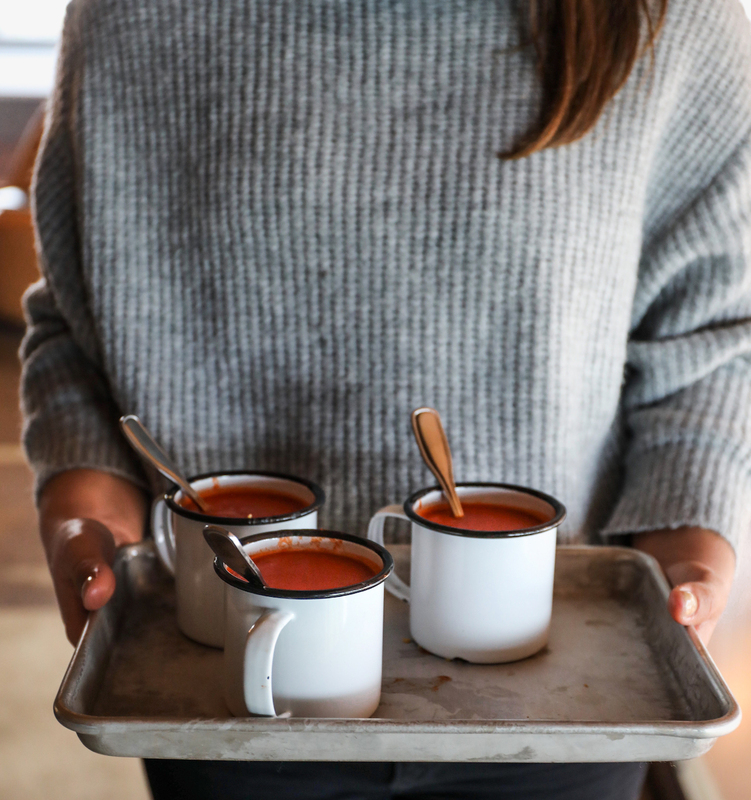 Then we moved into a feast and tried almost everything on the Creamery menu, including mac and cheese and grilled cheese and a heavenly tomato soup with fried cheese curds. Were we full? Yes. Did we stop? No. Then out came the most glorious smorgasbord of ice cream to eat until we could eat no more. We mingled with the marketing team at the Tillamook Portland Outpost (this is where we learned about fun upcoming Tillamook products) and went to the Feast Industry after party. Over several days in Portland I had two meals at the same place: Tasty n Alder. Which seems semi-wrong because Portland has so many wonderful restaurants… but I have zero regrets. I was obsessed with a salad that became the inspiration for this salad. I love Tillamook Medium White Cheddar like nobody’s business and it works perfectly with the creamy avocado, salty bacon and bitter radicchio. 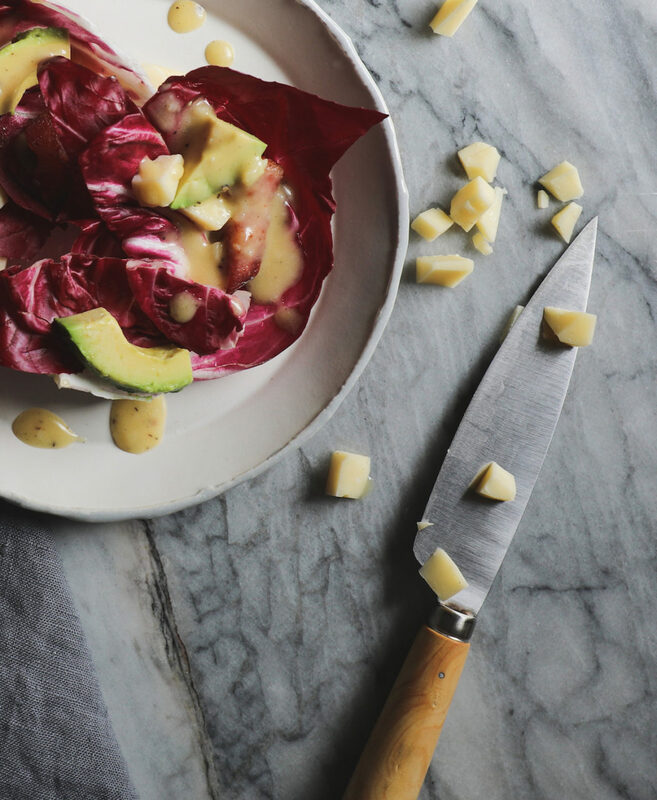 And because we can never have too much cheese (NEVER), we also add it into the honey Dijon dressing for added flavor and texture (think blue cheese dressing’s way cooler cousin). The addition of the jammy six-minute egg is nirvana for me. Have I already used the word nirvana here? It was a really nice trip…I’m just saying. Let’s get our Portland salad on, shall we? In a high-speed blender mix on low the balsamic, honey, Dijon, sea salt and pepper until well blended. Slowly stream in the olive oil and run the machine on low until completely blended. Add in the finely chopped cheddar and run the blender for 1 minute more or until it’s pulverized into tiny, blissful bites of cheddar. If it appears too thick, add water in 1 tablespoon increments to the desired consistency. 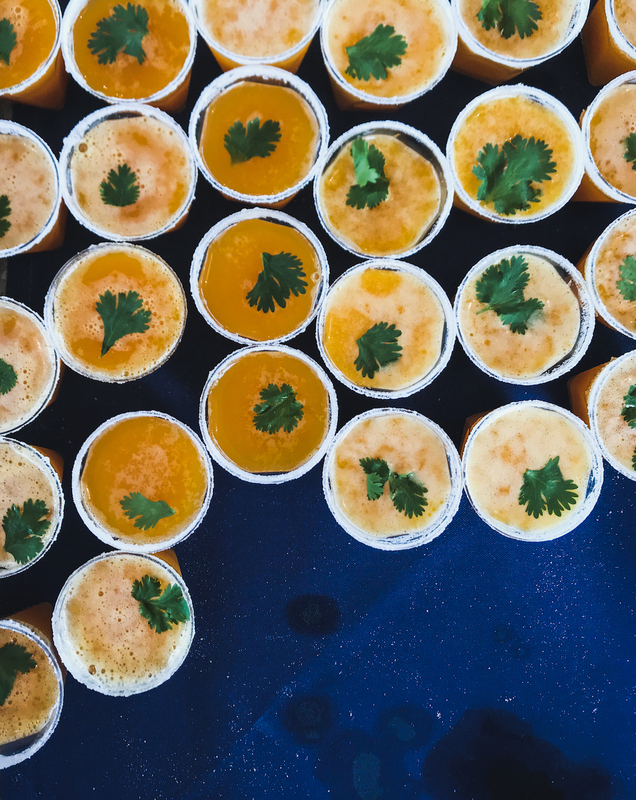 You want it thicker than a vinaigrette, but not so thick it won’t drizzle off of your spoon. To assemble, layer the radicchio leaves onto four plates. Evenly distributed the avocado, bacon and cheese and drizzle with the desired about of dressing (you’ll have leftovers which is a win in my book). 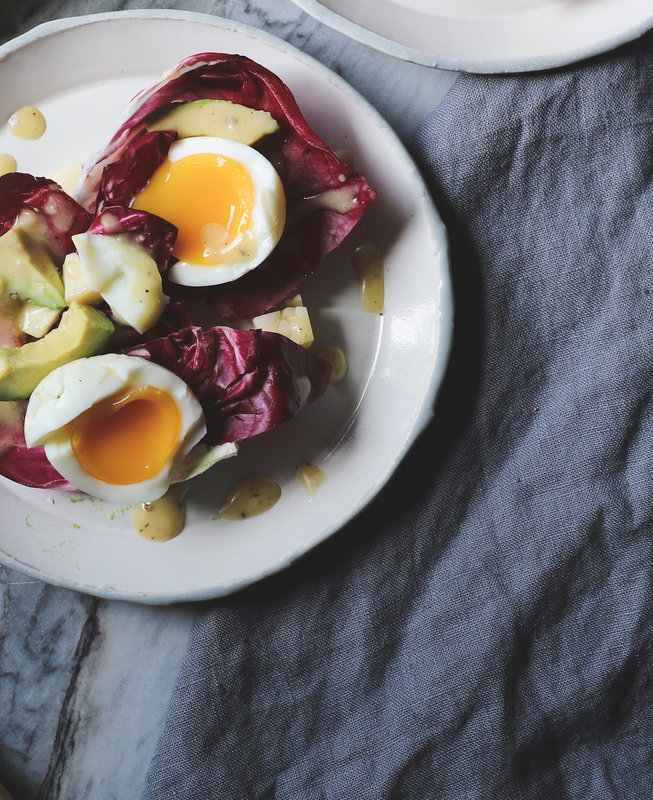 Top each salad with two six-minute eggs (to make it a meal) and call it a day. This is how I make the salad if I’m serving it to other people. If it’s just me, I like to chop up the lettuce (chopped salad style) and mix the whole lot together and crown with the eggs. You do you depending on your mood. My sweet friend Christi Lazaar schooled me on the six-minute egg and ever since I can’t live without them. In a large saucepan, add 4 tablespoons white vinegar, 1 tablespoon of sea salt + water to fill it halfway and bring to a boil. Use a ladle/spoon/spider (whatever you have available) to lower the eggs into the water. Set your timer for 6 minutes. Grab a large bowl and fill it with ice + water. When the timer goes off, transfer the eggs to the ice water and let cool in there for 5 minutes. Peel your eggs and you’re done! PS When I got home from Oregon, the first thing we did was go to the store and get more Tillamook ice cream. And then I took that photo of Stella below. 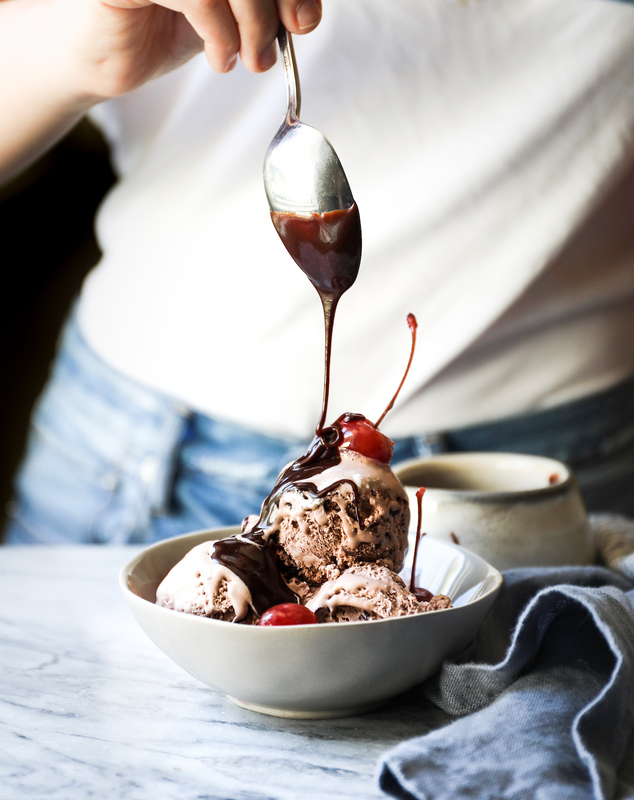 No joke, the best ice cream (this is their Mudslide flavor — we love it)! 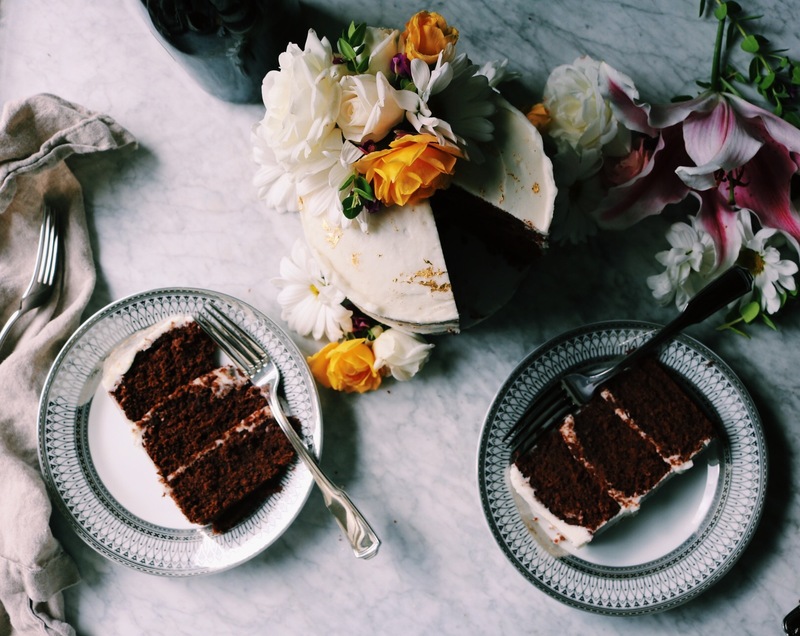 This post was done in collaboration with Tillamook. I’d like to thank Tillamook for taking me on such a wonderful trip throughout Oregon (Tillamook + Portland are wonderful!) and for being such an amazing partner! All content and ideas are my own. 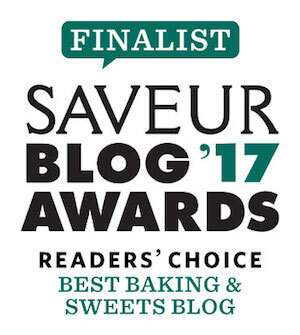 Thank you DH readers for supporting the brands that keep DisplacedHousewife in the kitchen–you guys are aces! 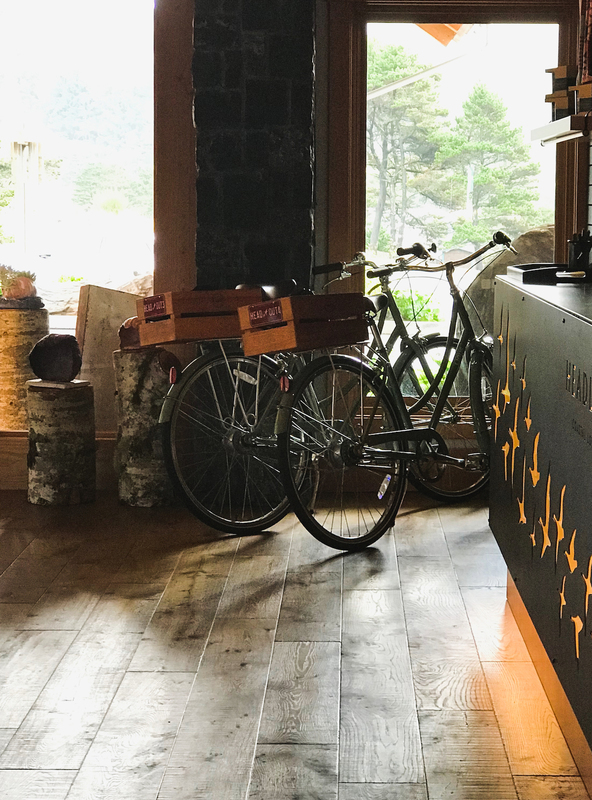 Mingling with Tillamook cows may just be a life dream… what a fab trip!! And a fab salad to go with it! 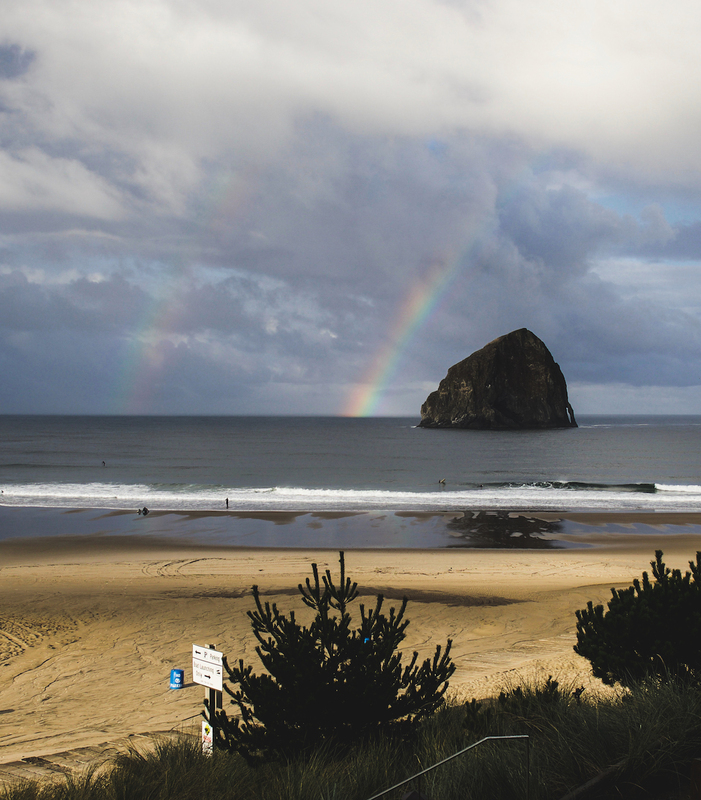 This looks fabulous and I’m soooo jealous of your Oregon trip!!! I love Tillamook!!!!!! What an amazing experience Rebecca! 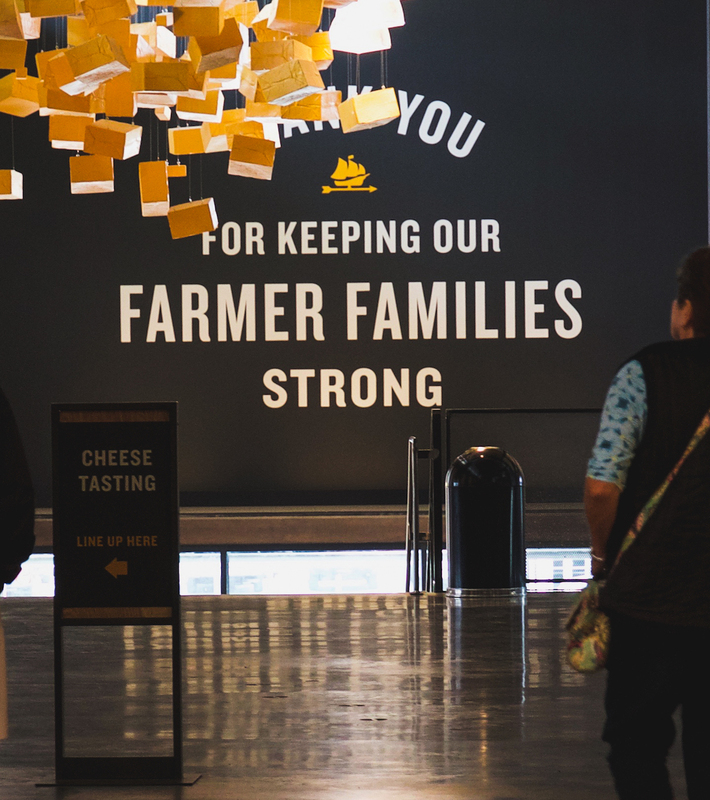 I loved reading about your experience, but also loved learning more about Tillamook and their process. Tasting station? Ohh my gosh yes! 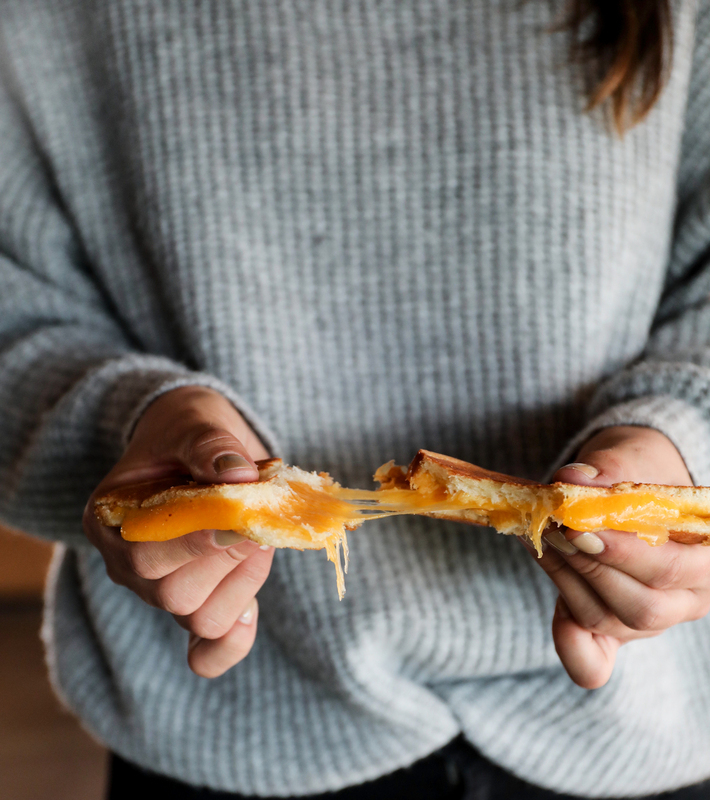 Dairy done right is the best slogan ever- as it definitely embodies the Tillamook brand from A to Z. Loving and being passionate about what you do always shines through on the final product. 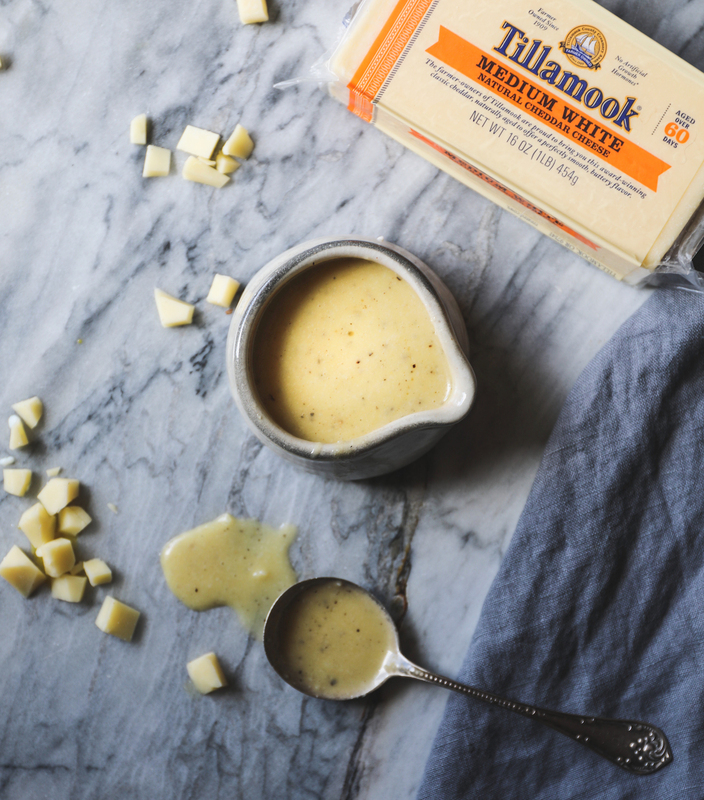 Tillamook is no exception. This salad. 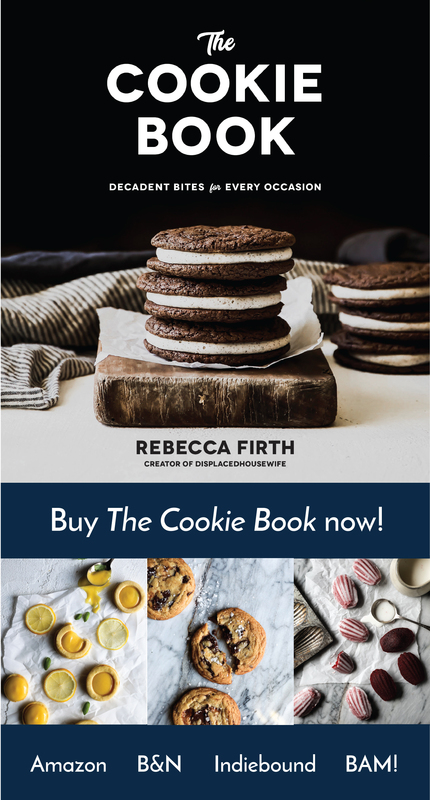 Can we talk about how crazy delicious that sounds? I am in love! Sounds like you had such a wonderful time with the Tillamook folks Rebecca! What awesome experiences. I LOVE their products! Always in our fridge too. And this salad is everything. Great combination of ingredients! On my list! Looked like such a wonderful experience! And this salad is divine!